When winter reigns in the Caucasus it gets cold. Bitter cold. But at least it’s windy. If that sounds like what you need to protect yourself from you'll love Red Fox’s Down Shell. 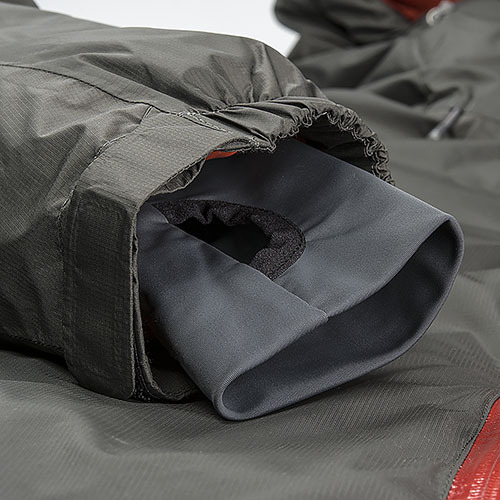 Filled with plenty of airy light, super plush 700+ goose down to stay warm in winter temperatures, plus a Windstopper shell to nullify the wind. We pay attention to the other details too, like hook 'n' loop cuff closures with an elastic knit wrist guard complete with thumbloops. 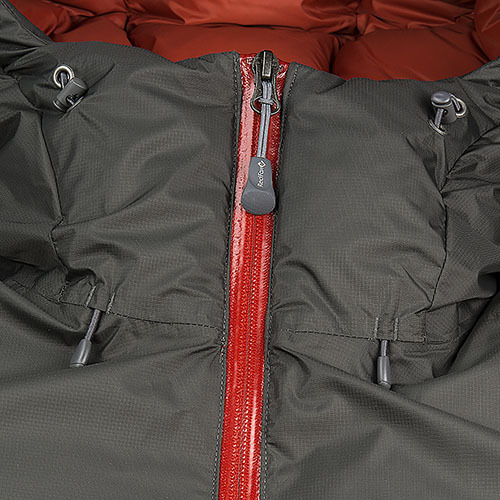 External zippers are PU coated to block water from seeping in, plus there's a handy internal chest pocket. The deluxe hood is helmet compatible, with a laminated brim and draw cords front and back to cinch it tight to your face in front, and around the perimeter whether you're wearing a helmet underneath, a warm beanie, or just a full head of hair. Weight: 982g / 35oz / 2 lbs., 3 oz. Best Down Shell I have Owned! I am from Fairbanks, AK and have always owned a quiver of different down jackets of varying thickness for different conditions. My old jacket (rated for -40) was a little overkill when I moved to the rocky mountains - not to mention making me look/feel like the Michelin man. 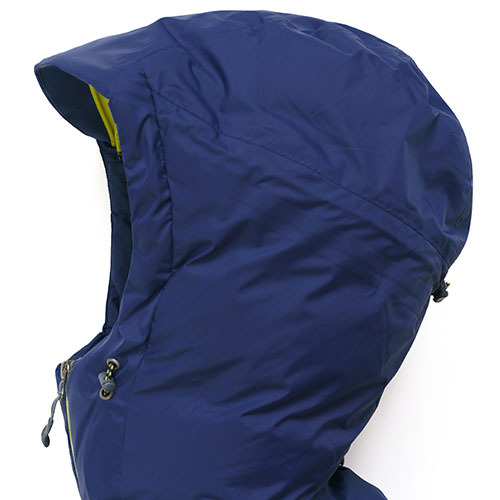 Enter this windstopper shell from Red Fox. It has been my go-to winter jacket for conditions between 0 and 30 above. The warmth factor is great, but beyond that the fit and mobility of the jacket distinguish it from the others I have owned. 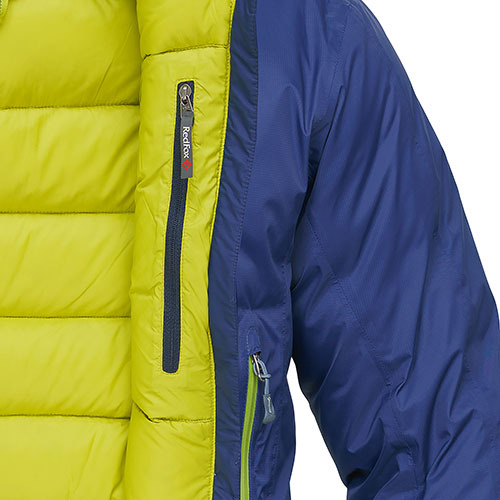 Compared to most down jackets it is a much slimmer fit, making it far more versatile for hiking/skiing/working outside. It also has several pretty handy features. I didn't quite understand the point of the built-in fingerless half gloves that you can pull out of the sleeves until I spent several hours digging my truck out of a snow filled ditch. The under gloves keep snow from packing into your regular gloves and up your sleeves in deep snow. Really nice to have when you need them. The rigid brim and plethora of drawstrings for hood adjustments mean that you can get a good fit over any hat/helmet/goggle combo in relatively high winds while still maintaining good visibility. Last but not least: it looks really good and makes going from woods to work to bar stylistically seamless. I highly recommend it. This jacket is amazingly warm! It fits me very nicely. I was out for over 4 hours in 19 degree weather and I was very comfortable. The outer shell of this jacket is great for keeping water out as well, perfect for a cold snowy day on the slopes.